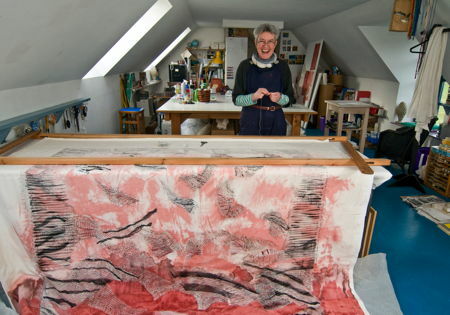 Pauline in her studio with her Quiltscape Lindisfarne Revisited, which was acquired by the Shipley Art Gallery, one of the UK's leading museums of contemporary crafts. 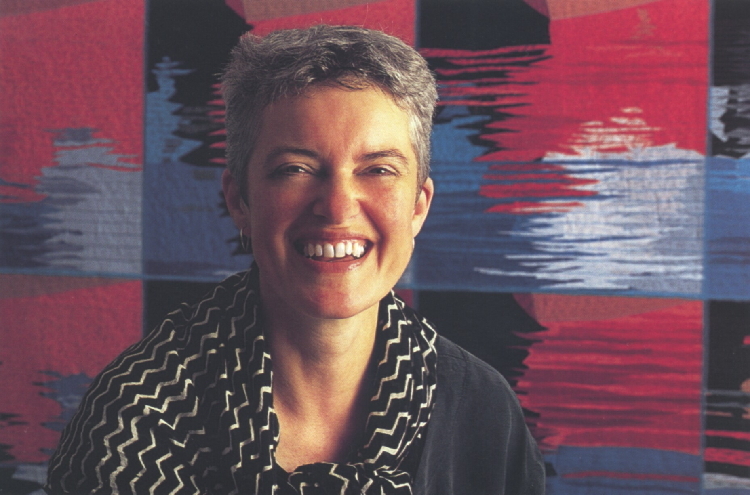 Pauline Burbidge has long been recognized as one of the United Kingdom's premier textile artists, and she also is one of the few European artists who have been an important force in the American art quilt movement. 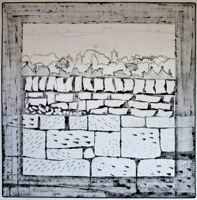 Over her forty-year career, Burbidge's work has been exhibited worldwide and examples have been purchased by a number of major museums of the UK, including the Victoria & Albert Museum, the National Museums of Scotland, the Ulster Folk & Transport Museum in Belfast, the Whitworth Art Gallery, in Manchester, the Shipley Art Gallery, and the Glasgow Museums. 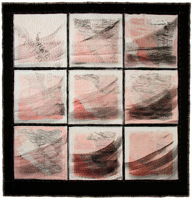 She is also represented in major collections in the USA, including the International Quilt Study Center & Museum in Lincoln, Nebraska, and the John M. Walsh III Collection of Contemporary Art Quilts, and has won numerous commissions, grants and awards, including the British Craft Council's John Ruskin Craft Award and a major grant from the Scottish Arts Council. Originally from Dorset, England, Pauline now lives in the Scottish Borders with her husband, the sculptor Charles Poulsen. 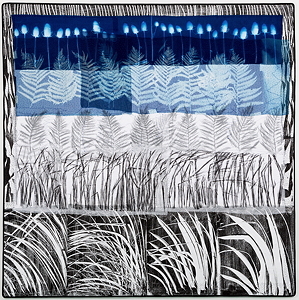 The beautiful, unspoiled country around her influences and inspires her textile work, which she says has "grown out of a passion for the countryside, linked with a love of fabric, stitching, drawing, collage, painting, colour, and traditional patchwork quilts." 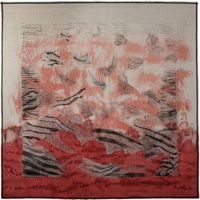 Of her most recent work, Pauline says, "I am constantly trying to work more freely with my fabric and stitching, which continues to be a challenge to me, and moves my work further away from its traditional beginnings and the hard-edged piecing of my earlier quiltwork, and brings it closer to my heart." 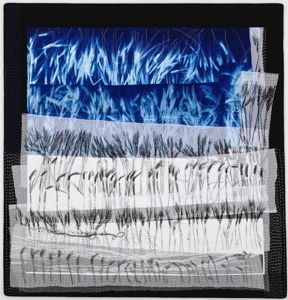 The poet Alice Mitchell gave Pauline the name for her latest series, which she calls "Quiltscapes": in Mitchell's words, "landscape sewn." 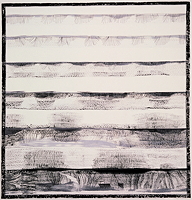 Two of the new quilts were inspired by the tide-washed causeway that connects the island of Lindisfarne, also known as Holy Island, to the Northumberland coast in northeastern England, while another evokes Pauline's recent trips to Puglia, an unspoiled rural region on the heel of southern Italy's boot. 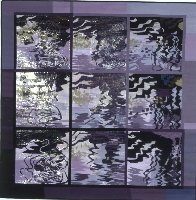 In addition to her studio quilts, Pauline also makes QUILTLINE quilts, usable and functional contemporary quilts, for beds or couch throws, and STITCH DRAWINGS, small stitched works, often presented under glass in picture frames. You can see images of QUILTLINE quilts and STITCH DRAWINGS on Pauline's web site and see them in person at the annual open studio Pauline and her husband, the sculptor Charlie Poulsen, hold in the Scottish Borders. 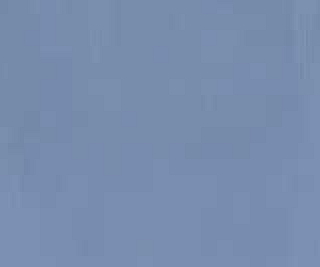 You can also keep up with Pauline's activities on Facebook. New quilts featured in "Quiltscapes: Pauline Burbidge" at the International Quilt Study Center & Museum in Lincoln, NE, October 14, 2016—March 25, 2017. Horizons of Publia will also be included in. 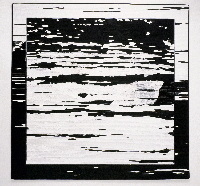 "Quiltscapes: Pauline Burbidge" at the International Quilt Study Center & Museum in Lincoln, NE, October 14, 2016—March 25, 2017. 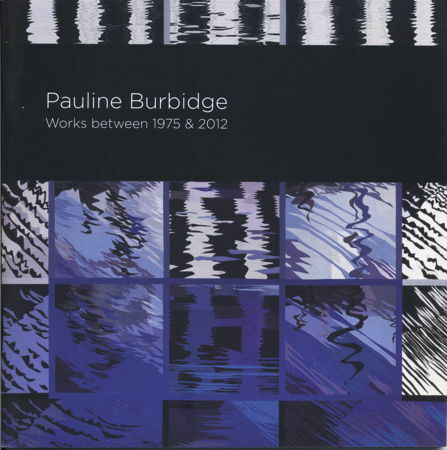 I have copies of Pauline Burbidge's catalog, Pauline Burbidge: Works Between 1975 & 2012. 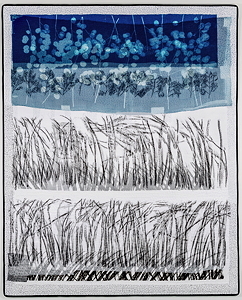 Designed to accompany her recent PB Retrospective exhibition in the UK, the 42-page booklet charts the stages of Pauline's artistic development over her 36-year career. The main essay was written by Dr. Sue Marks, with prologues by Dr. Jennifer Harris and yours truly (aka Robert Shaw). It is beautifully designed and lavishly illustrated in color throughout. A copy can be yours for £10 plus postage. If you would like to order a copy, please contact me. Watch a clip from the 10-minute film "Making,"
which shows Pauline at work.